Dance to popular music and cover a wide variety of styles including Jazz, Hip Hop, Modern and Musical Theatre dance techniques. Students can improve their coordination, technique and performance to keep fit and flexible. Challenging for the experienced dancers yet attainable for the less confident, our dance classes are available for ages 3-19. 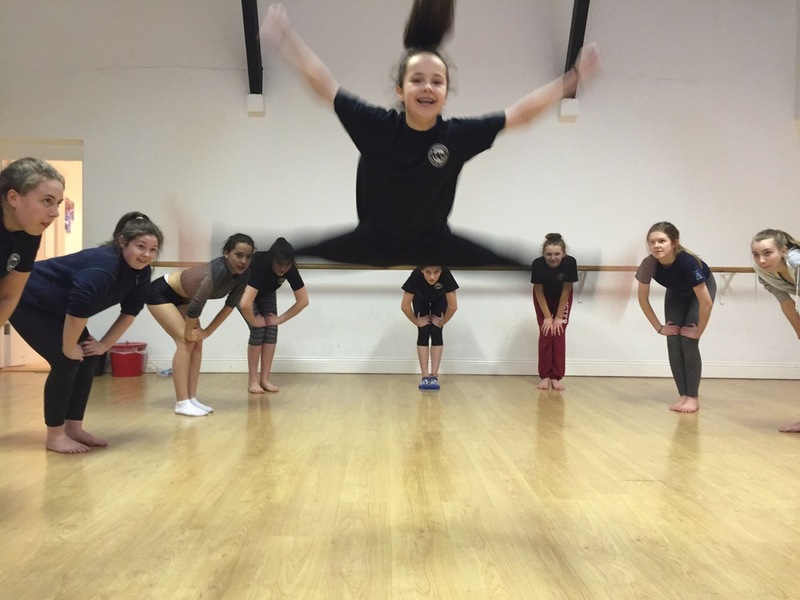 Students from Juniors through Young Adults are able to take part in a Musical Theatre Dance Exam via the Irish Board of Speech and Drama once per year when enrolled in this class. Put together a repertoire of dance and musical theatre routines to perform for an Irish Board Adjudicator, and perform your routines at Performance Nights each May in the Sean O'Casey Theatre for friends and family. Our phenomenal ITW dance teacher, Lizzy Benham, will put you through your paces in a Dynamic Dance Class based on Hip Hop, Commercial and Jazz techniques. Her dance classes are one of a kind! Lizzy has starred in a multitude of theatrical and television productions; most recently you were blown away by her performance in the Snow Queen at the Gaiety Theatre. Come join her and and unleash your full potential. Book today for our BOYS ONLY dance class on Wednesday evenings at ITW. This energetic and vibrant class also get the chance to perform on stage in The Helix each November! A fusion of modern, contemporary, and ballet, this class will focus on developing strength and flexibility with expressive, graceful choreography. Dancers will learn turns, leaps, fancy footwork, and partnering within the lyrical/contemporary technique to inspire personal artistry and creativity. Encompassing a wide range of commercial dance styles including Jazz, Street, Urban-commercial, and Jazz-Funk this class will focus on dance styles seen in music videos and on TV. Hip Hop/Commercial class is about evolving strength, technique, and style while focusing on attack and confidence. Learn amazing acrobatics and dances to your favourite pop songs in a fun, high-energy class. Using the ISTD syllabus, Modern (a cross between Lyrical and Jazz) is an introduction to a structured class with lessons in rhythm, technique, flexibility, musicality, and dance composition/choreography. The Imperial Society of Teachers of Dancing (ISTD) is the world's leading dance exam board, and is the only organisation that covers the full spectrum of dance examinations on a global scale. This class will provide the foundation for a career in dance as a teacher, a college student, or a professional dancer. Body Conditioning is a one-hour long class that focuses on maintaining and stabilizing strength and flexibility for a stronger body. Each class is divided into 20 minute increments of abdominal exercises, arm exercises, leg and glutei exercises, cardio conditioning, plyometrics, and stretching. Each student will set his/her own goals at the beginning of the year and will develop his/her own programme. Class discussions will include basics to anatomy, kinesiology, nutrition, and overall healthy living. This class is highly recommended for intermediate and advanced dancers, but is open to all levels and abilities. The ITW Dance Studio is home to two Dance Companies for Inters and Seniors and brings these Companies and other advanced solo dancers to Dance Competitions and Festivals in and around Ireland. Want to perform ? join one of our dance companies!